There have been requests for some resources on more information about high altitude physiology and medicine. Here are several resources that we have found to be very informative. The most recent issue of the Wilderness Medicine Newsletter, Nov/Dec 2006, is dedicated to the recognition and management of high altitude illnesses. To follow is a series of postings regarding high altitude illnesses, recognition and management. For a group of 8 – 10, carry 2 full doses of each medication. IM dosing: 24mg/ml, available in 5ml vials. For information go to High-Altitidue-Medicine.com and check on hyperbaric treatment for links on how to purchase or rent. HAPE = Fluid in the lungs. Nifedipine (Adalat, Procardia), this is a calcium channel blocker that aids in HAPE by causing pulmonary vasodilation. Nifedipine 10mg po every 6 hours, may use Nifedipine SR (slow release form) 30mg po every 8-12 hours, total dose not to exceed 90 – 120mg/day. Acetazolamide (Diamox), is a carbonic anhydrase inhibitor helps to accelerate acclimatization. It may used help prevent AMS and HAPE but, it is not effective for the treatment of HAPE. The majority of cases of HACE occur because they continued to ascend while they still had the symptoms of Acute Mountain Sickness. Greatest danger is that untreated AMS may progress to life-threatening HAPE or HACE. Don’t go up until the symptoms go down! Treatment: Don’t go up until the symptoms go down! Do not go any higher until all symptoms have cleared, which indicates acclimatization to that altitude. Descend to the last sleeping altitude where they were symptom free or descend as far as necessary for improvement; 500 to 1000 meters is usually sufficient. Continuing on with symptoms of AMS increases the risk of HAPE, HACE, and DEATH. Rest, Rest, Rest, and Drink, Drink, Drink. Hydration status is based on the color of urine they are producing. If they decide to stay at altitude to acclimatize, if symptoms do not improve within 12 to 24 hours, DESCEND. Mild analgesics: acetaminophen, paracetamol, aspirin, or ibuprofen. Acetazolamide (Diamox), 250mg po (by mouth) every 12 hours until symptoms improve. Children may take 2.5mg/kg body weight po every 12 hours. Dexamethasone (Decadron), 4mg po every 6 hours. Children may be given 1mg/kg body weight po up to 4mg and a second dose in 6 hours. Oxygen, 2 – 4 liters per minute by nasal cannula, titrate up as needed. If you are ill at altitude, it is altitude illness until proven otherwise. Ill at altitude = altitude illness! Never ascend with symptoms of AMS. If you are getting worse (or have HAPE or HAPE), go down at once. Continue down until you have relief of symptoms! Climb high and sleep low! 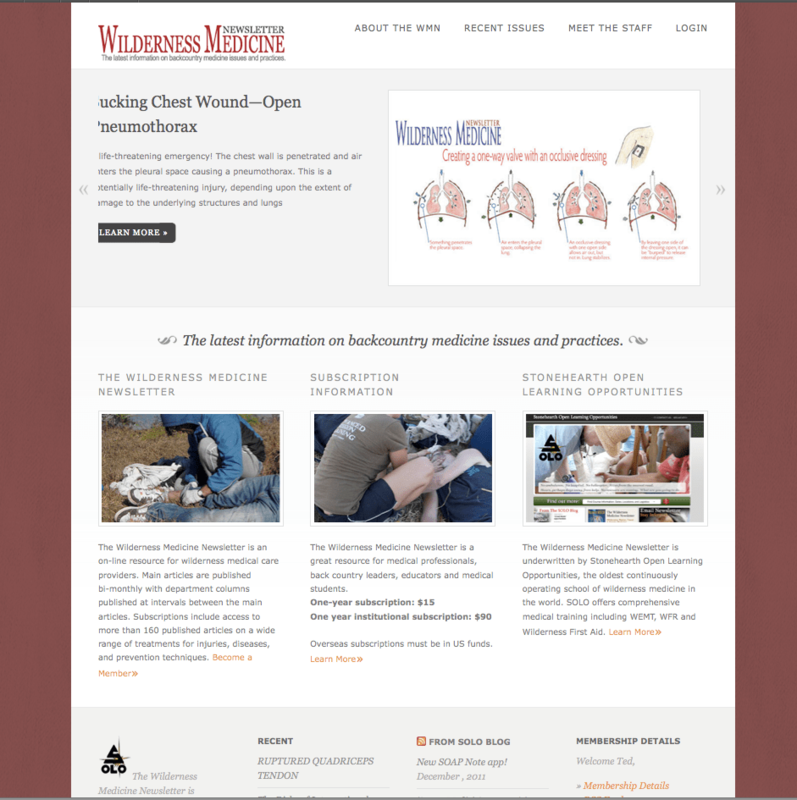 The most recent issue of the Wilderness Medicine Newsletter, Nov/Dec 2006, is dedicated to the recognition and management of high altitude illnesses. To follow is a series of postings regarding high altitude illnesses, recognition, and management. What are the RISKS of HIGH ALTITUDE MOUNTAINEERING?